Week 7 – Eyes on the Prize! Aidan and I are working from the client’s offices on a daily basis as the engagement progresses. We are enjoying having direct access to the client. I’m gaining valuable experience in US GAAP and auditing an alternative investments management company is proving to be both challenging and rewarding. Last Saturday Aidan, Joey, Shaun and I went to Central Park for the afternoon for some relaxation. 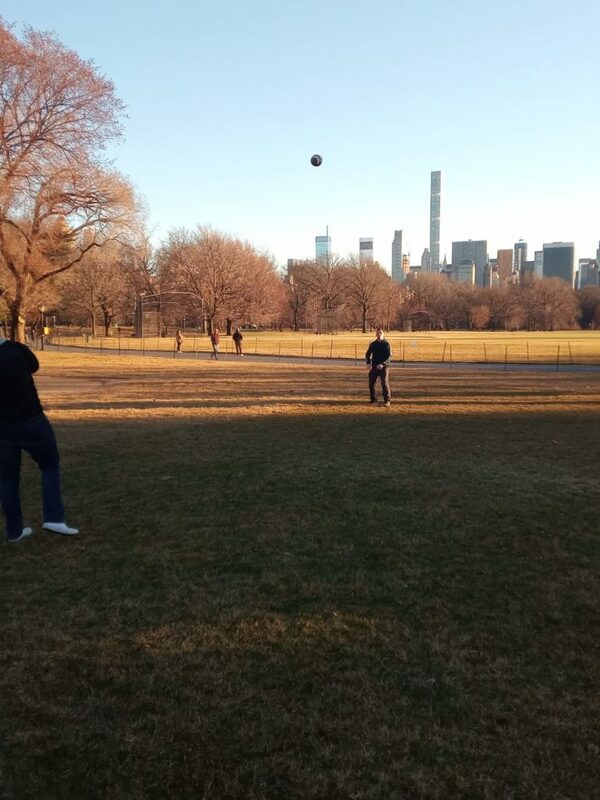 We threw an American Football around and got some much needed exercise! As you can see in my photo I have my eyes on the prize and needless to say if the Giants need a replacement for OBJ I can step up!